Like a lot of women, I love dishware. I always want to buy more even though I have no more room in my kitchen. 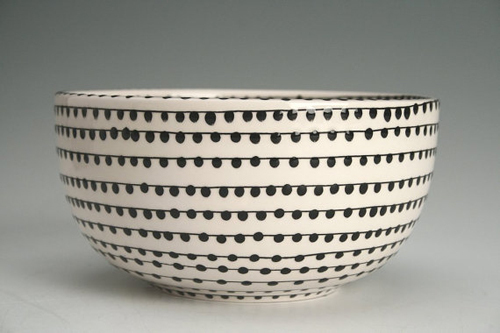 These lovely bowls and plates from Owl Creek Ceramics makes me want to build more cabinets. Dyna and John Bailey handcraft and hand paint these colorful ceramics inside their home workshop in Temple, Texas. The ceramics are all food, dishwasher and microwave safe for ease of use. 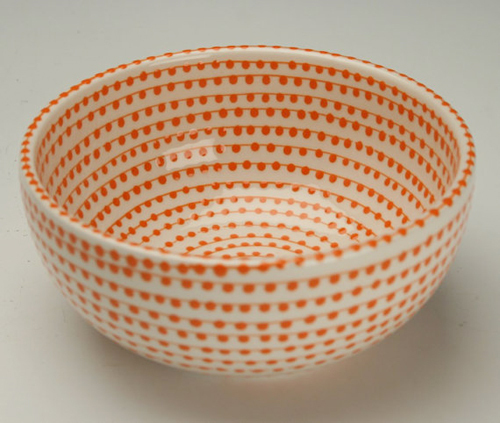 These pretty colored bowls may just be my favorite of Dyna and John. At 6" in diameter, each bowl holds 3 cups of liquid. These spiral, vertigo vases are too sweet as a grouping of three or just one on your windowsill. They are perfectly shaped for placing a fresh stem from the yard or floral shop. I like the idea of filling them with flowers or stems that complement the color of the vase...too fun.